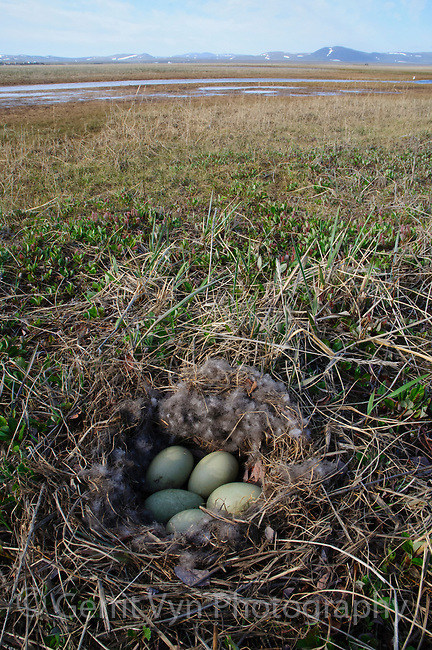 Nest and eggs of Common Eider (Somateria mollissima). Seward Peninsula, Alaska. June.